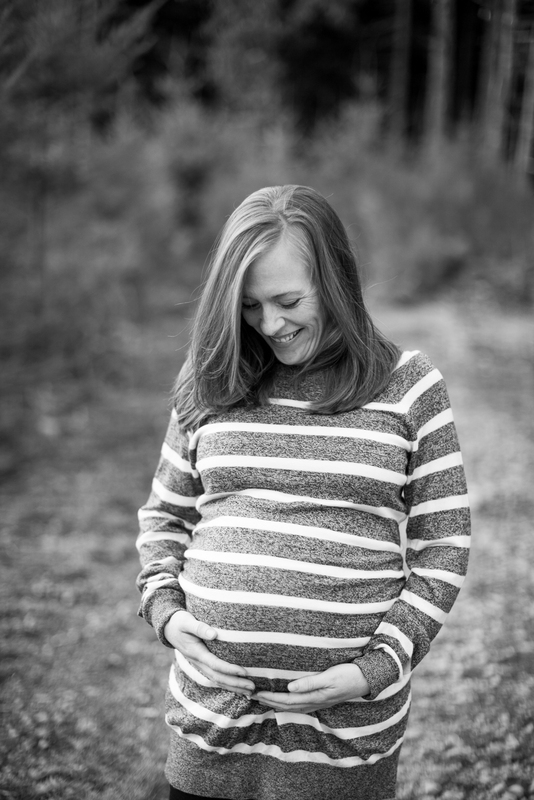 We’d originally planned to do maternity photos with Kennedy last Sunday, but on Saturday after looking at the weather report (and seeing massive rain planned) I texted her to see if they’d be up for taking photos right away instead. 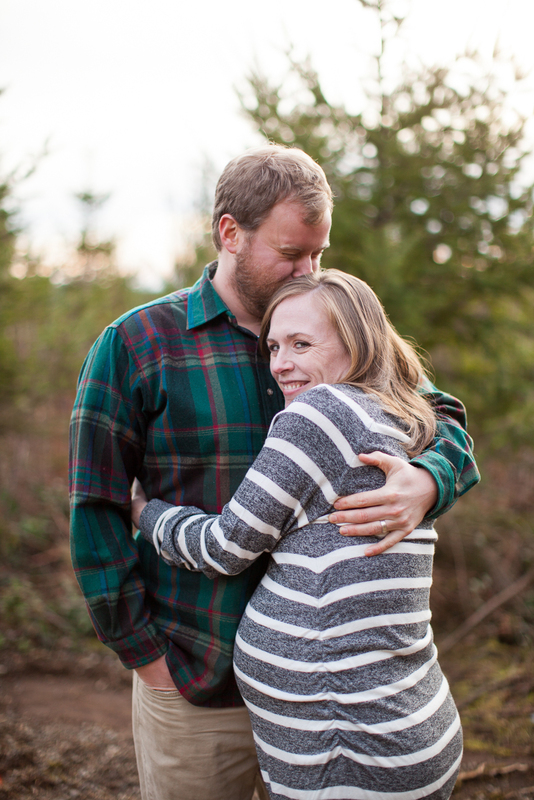 Lucky for me, she is my neighbor (and also one of my oldest friends) so it wasn’t too crazy for us to all pile in a car last minute. 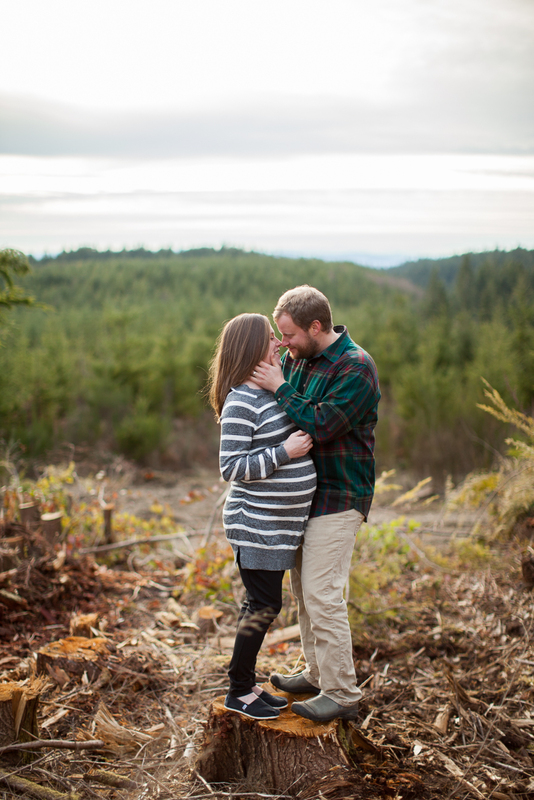 We first headed the Historic Columbia Highway and thought we might take some pictures with the Gorge in the background, but staying close to the edge of cliffs proved to be extremely windy and cold – so we headed up Larch Mountain and found some fun and somewhat sheltered spots for photos. 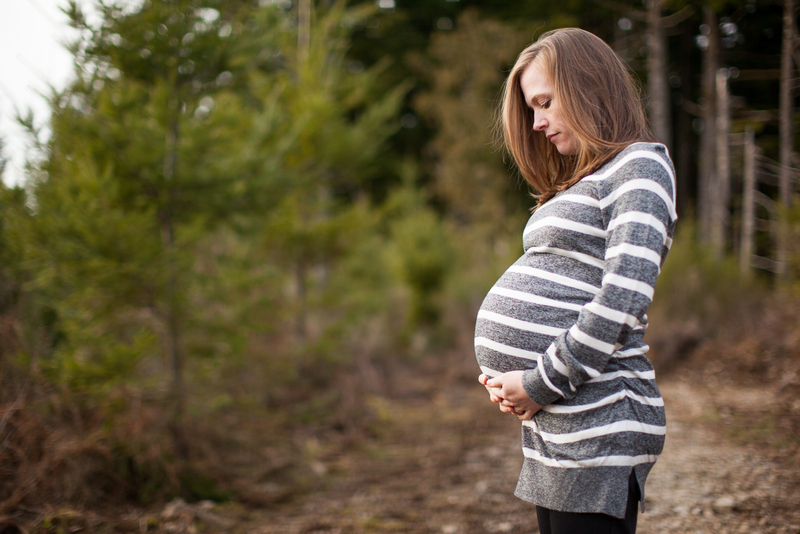 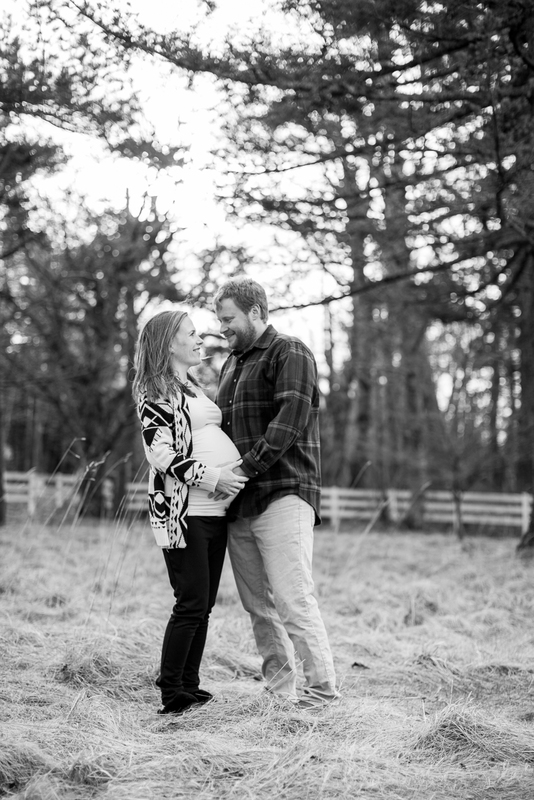 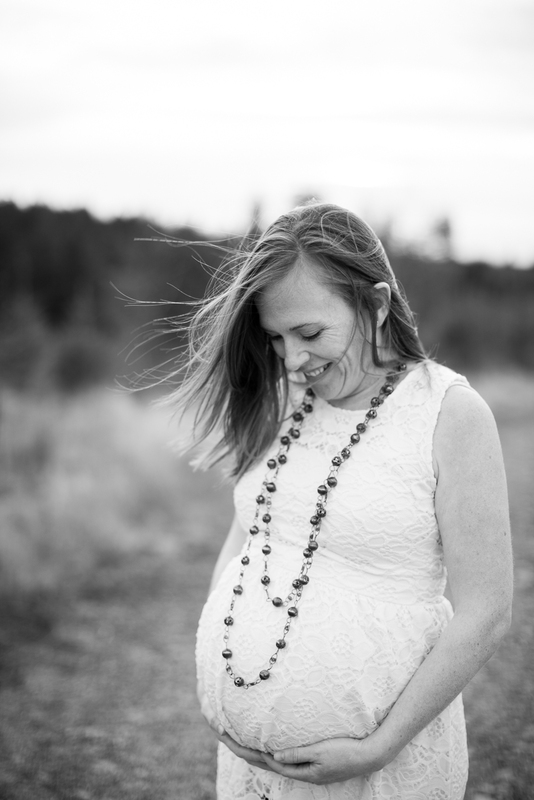 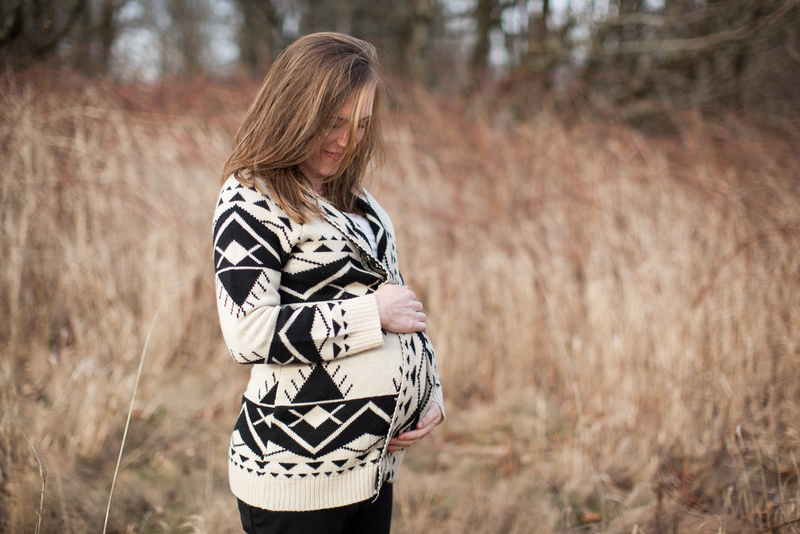 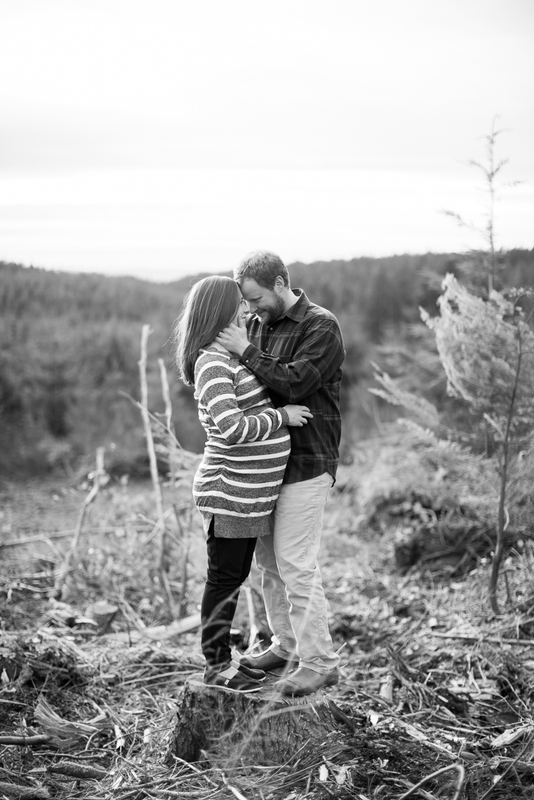 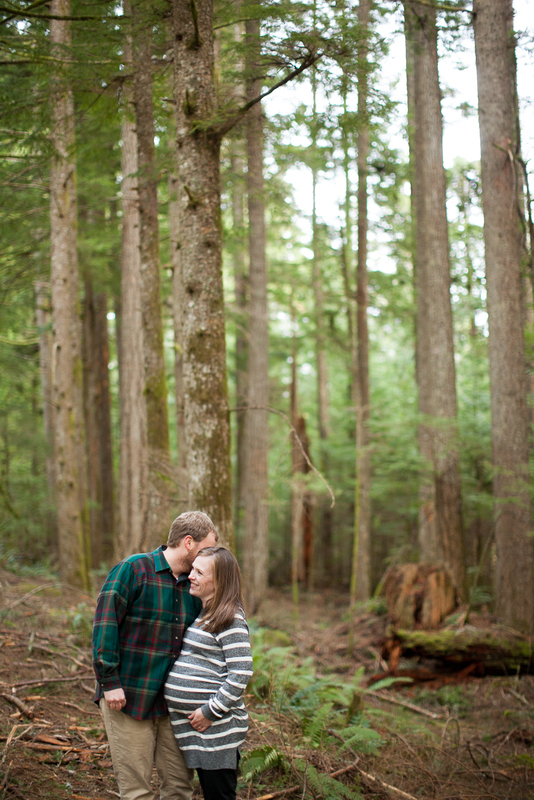 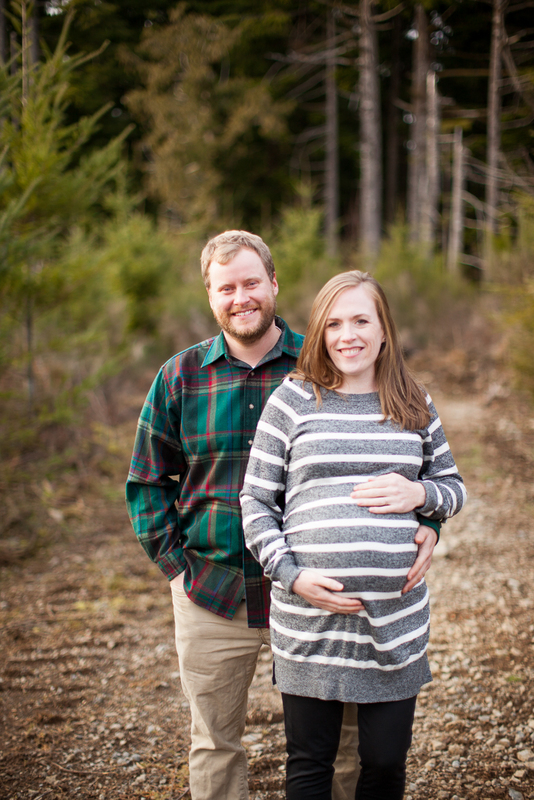 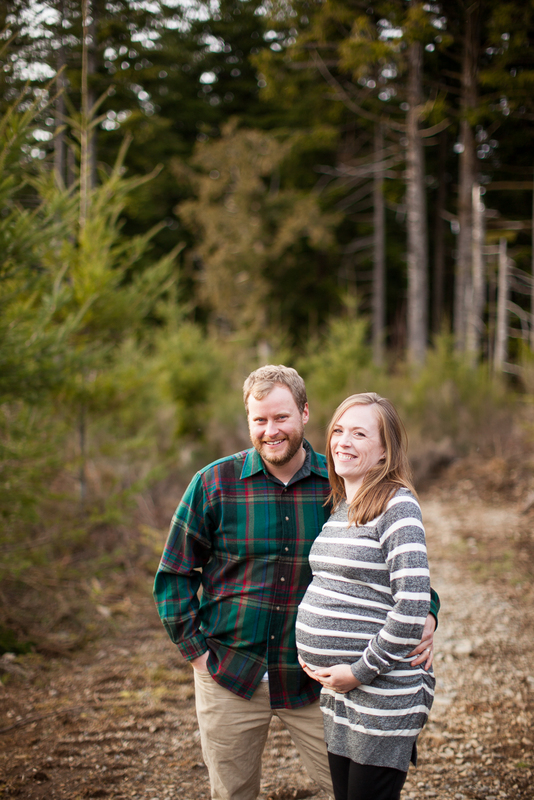 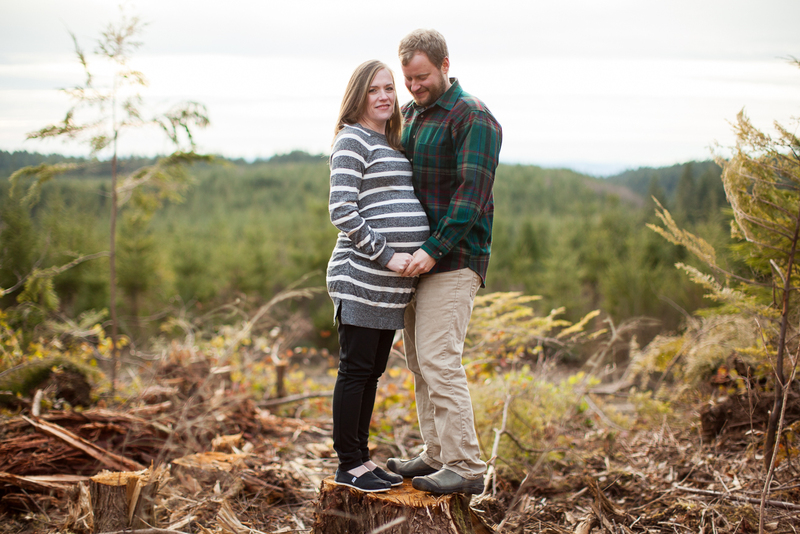 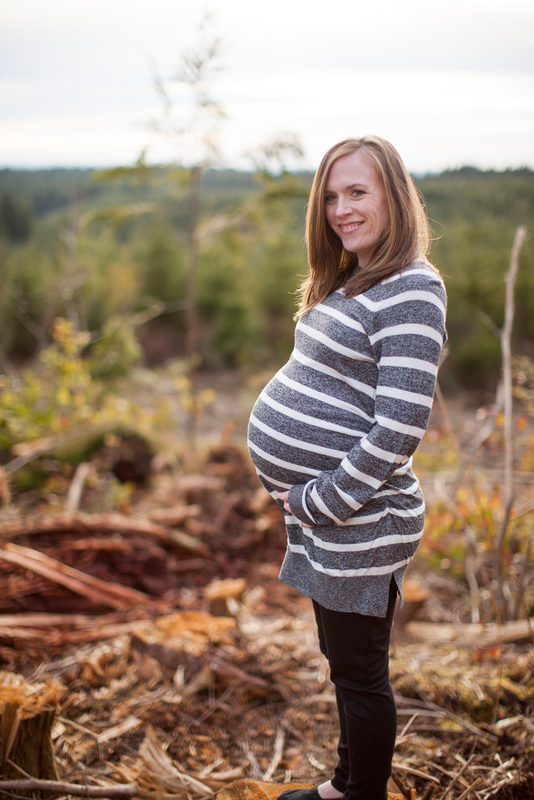 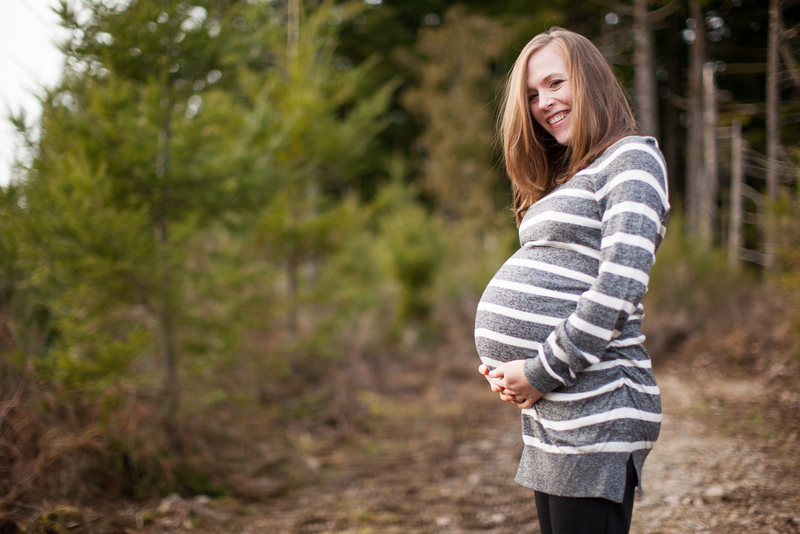 Her baby is due in only a couple short weeks, and Kennedy looks absolutely stunning, she was even willing to climb up a hill (and onto a stump) so we could catch a bit of the coastal range in the background of a few shots. 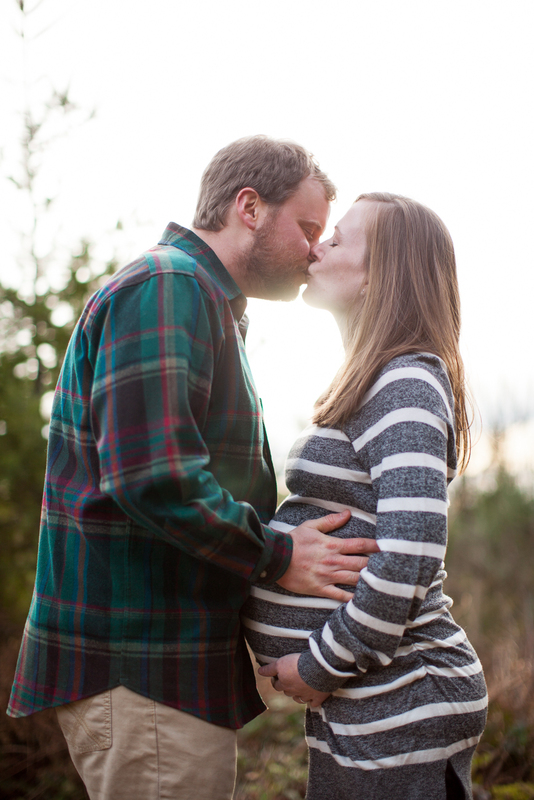 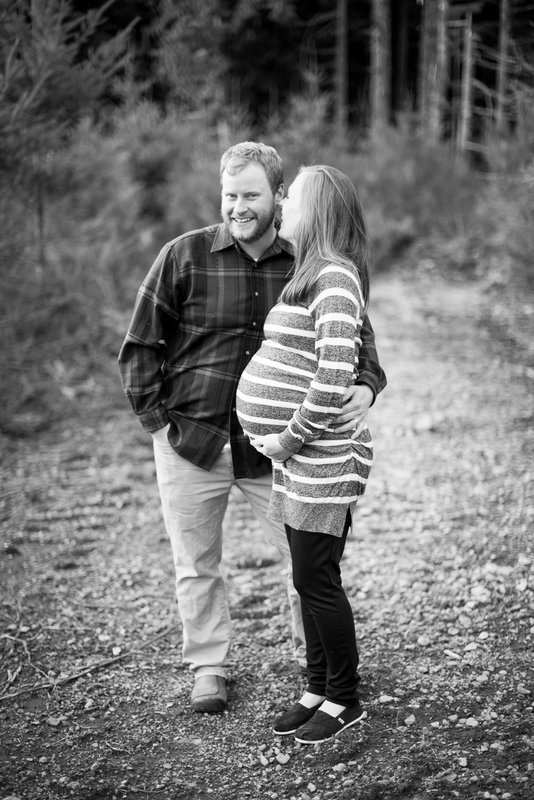 I cannot wait to meet baby Fletcher when he arrives!